We love babies. And we understand that a new born baby's skin has a natural protective coating of moisturizing oils that cover her skin's Ultra Thin layer! Wash away that oil and you might leave it vulnerable to dryness, irritation and rashes. That is why Johnson's Baby Soap is specially enriched with 1/4th moisturizing baby lotion to help preserve the baby skin's moisture and keeps skin baby soft while retaining your baby's skin's essential protective layers. Rinses easily! Enriched with 1/4 moisturizing baby lotion to help preserve baby skin's moisture even after cleansing. Explore the entire range of Bath Time available on Nykaa. 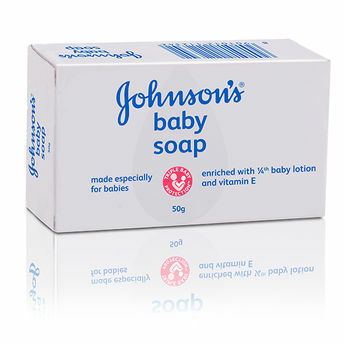 Shop more Johnson's products here.You can browse through the complete world of Johnson's Bath Time .Alternatively, you can also find many more products from the Johnson's Baby Soap range.